Why not take a tour of one of the oldest towns in Ireland? Taking in St. Brigid’s Monastic Site, the site of a Norman Castle, walkers will learn about three medieval Abbeys, Ireland’s first Turf Club and much much more. Discover this fascinating heritage on a guided walk around the Town, by a local historian or by yourself with the Guidigo App by Abarta Heritage. 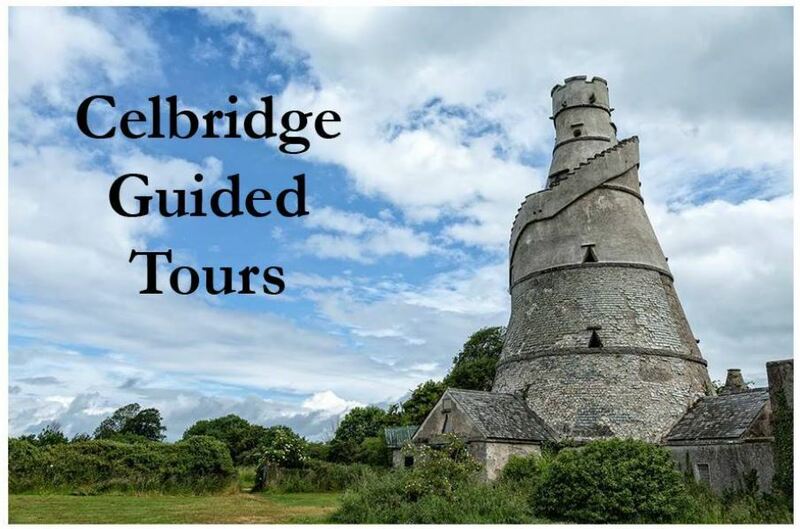 Celbridge Guided Walking Tours are free and lead by local guides. The tours encompass oral history, folklore, monuments, architectural heritage, flora, fauna and landscapes. Group Tours: Tours will be adjusted to each groups requirements based on ability, time available etc. Another opportunity to discover Celbridge is to download the Guidigo App for a self-guided tour of Celbridge. 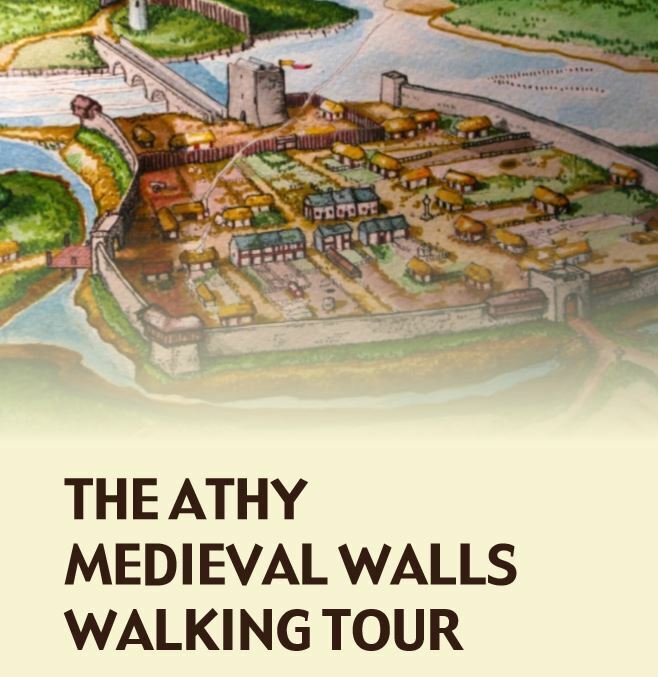 Athy Medieval Walls Guided Walking Tours are run from the Athy Heritage Centre. Athy, meaning literally ‘the ford of Ae’, is named after the son of a Munster King who was killed at a battle in Athy in the 2nd Century, find out about this & more on a walking tour of the town. 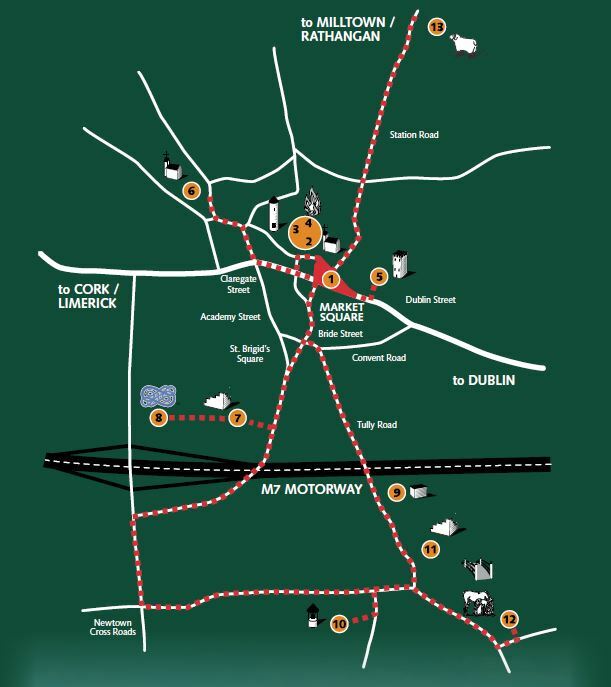 Bookings/Enquiries: Medieval Tours Brochure / 00 353 59 863 3075 / athyheritage@eircom.net.